Hi, I’m interested in Numberplate decor signboard. Please contact me. Thanks! 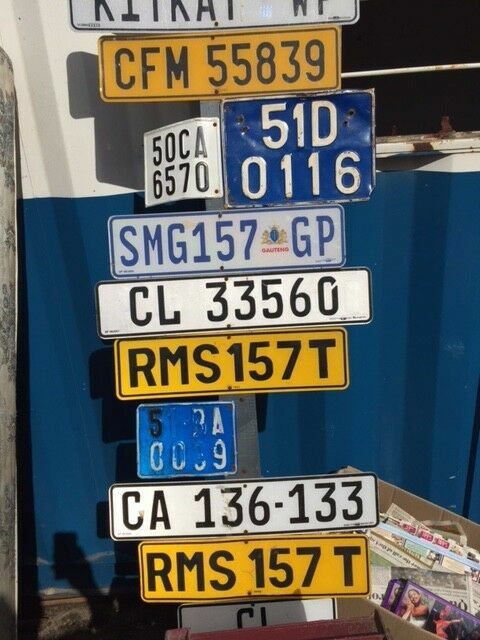 Numberplate decor signboard, funky, original, collectable, good condition, only R1500, whatsapp : ******. - Details of all the effects you will be able to provide once this course has been completed. Courses in Cape Town, these will be conducted at St Johns Catholic Church Fish Hoek Seating is limited so book your place by registering on my web. You do not need to complete the full course, and are able to do modules separately if you so wish, thereafter should you wish to do further modules, you may do so at any time thereafter with myself. Registrations and payment to be done via my web. All registrations and payments to be received prior to course commencement. SEATING IS LIMITED, SO REMEMBER TO BOOK EARLY TO SECURE YOUR PLACE. Stove top espresso maker with 4 espresso cups/saucers. Decorative Italian style stove top espresso maker in black metal. Dual spout for 2 cups. 4 white espresso cup/saucer sets included. Calling to interior designers, interior decorators and electricians. Modernise your home with various lighting options and matching switches. Designs range from modern, vintage and retro. Truly unique fittings suitable for each room. Lights and switches are available to purchase online offering fast door-to-door shipping. Each product is priced individually. Light switches with European sockets. This specific range is solid and one can feel the quality on the weight and solid steel smooth feel of each switch. Matching light fittings, plug sockets, dimmers and modern hanging lights and night lights available right here in South Africa. The story behind crystal Head Vodka started thousands of years ago when thirteen crystal heads were scattered across the earth. Their workmanship was perfect, Alone, each is believed to house radiant psychic energy, which has magical power and healing properties. This bottle will help you add the magic of a party. Don't blink. This is an empty bottle, there is no liquid inside it. Toggle light switch available in black, bronze and gold. We also have other ranges on our website like a touch screen option and plastic switches with a variety of colours is plates and toggles. See our website to view more and orders.